On June 29th, I sent out a call. A call for all heroes to come together under the banner of Colbert SuperPAC, put some money in a hat, and then leave. And you came: over 120,000 of you joined with the goal of Making a Better Tomorrow... Tomorrow. But now, Tomorrow is only a Day away. The Time has come to take a Stand. For Something. We haven't figured out what It is yet. That's where You come in. Go to http://bit.ly/PACstand and share what matters to you most, whether it's ending poverty, designing a truly zombie-proof fortress or preserving poverty. Everything is on the table-even tables. Your concerns will be scientifically blended with the concerns of other Colbert SuperPAC members, then formed into a nutritious concern loaf for me to cram down Washington's gullet. It's like a reverse orchestra, where you're all the conductors and I'm the one musician, armed with an FEC-sanctioned violin made of money. Or maybe an oboe -- that's up to you. You've made your money-voice heard, now make your mouth-voice heard. Visit http://bit.ly/PACstand today...now. 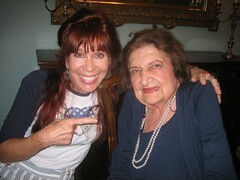 On May 21st I spent an evening with Helen Thomas [ An Evening with Helen Thomas and Flashback to John Lennon and Vanunu Mordechai] and told her that one of my dreams is to get on The Colbert Report. Ms. Thomas smiled and replied, "That's toxic." As only one message per email address is accepted, here's hoping you too will make your mouth-voice heard and help me get some of that Colbert SuperPAC money to help fund my run as a Citizen of CONSCIENCE for House of Representatives 2012 and we the people will take back The House.